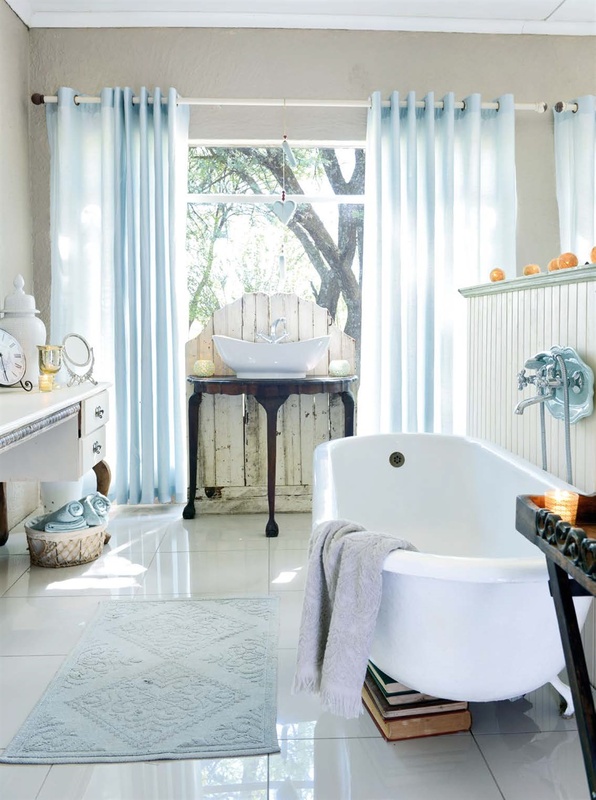 Plenty of light and recycled ball-and-claw furniture create a classic romantic atmosphere in this en-suite bathroom. We love the ceramic plate behind the taps! This bedroom is the epitome of French luxury with its contrasting dark wood and white antique furniture. Sheer curtains and a bold rattan ball pendant, a flea market find, complete this simple yet luxurious look. This veranda gets plenty of morning sun but the Virginia creeper keeps the area cool, making it the perfect spot for relaxing or sharing a meal. 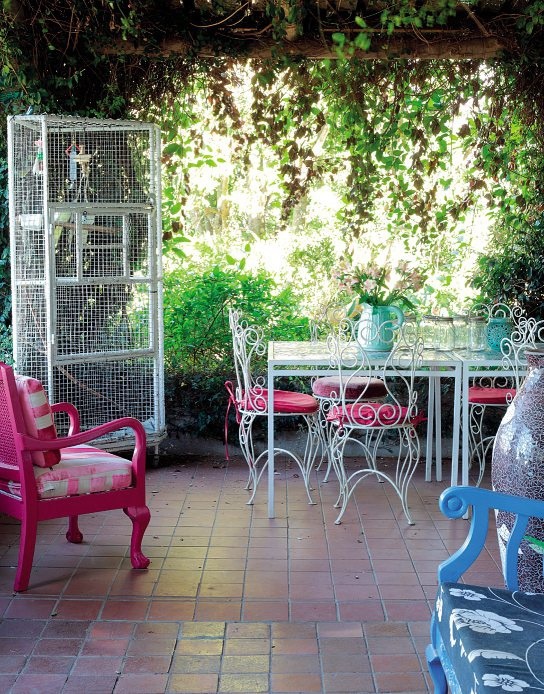 The contrast between the painted wooden furniture and ornate, wrought-iron dining chairs works like a charm. 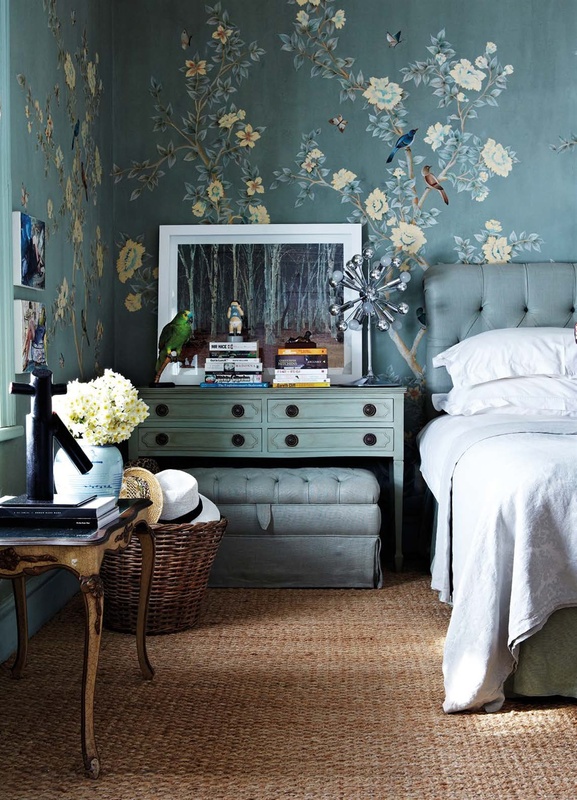 Whether wallpaper or paint, a floral accent wall will transform your bedroom into a romantic space. Here, flea market finds go hand in hand with vintage furniture and thanks to a neutral palette, the flowers on the wall are the main attraction. 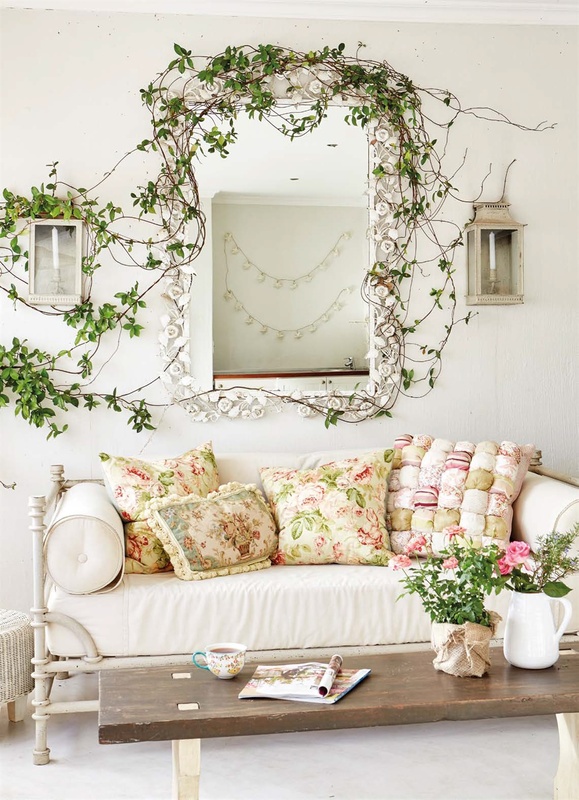 This old mirror was rather rusty, so it was given a fresh coat of white paint before being hung up on a sunny front stoep – and clearly the climbing plants approve! 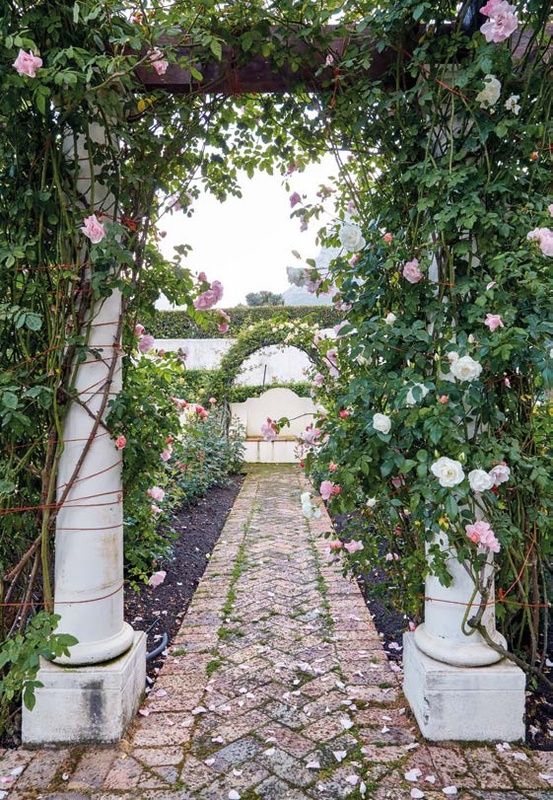 It might take some hard work and patience, but creating a rose-covered arch will add a romantic touch to any garden.